From OWL, the Purdue Online Writing Lab. View the left column menu to view all citation and reference samples. Help guide from EasyBib, a free online citation generator. Various UW Libraries locations. LB 2369 .G53 2016. Intended for use by undergraduate writers. MLA (Modern Language Association) Style is widely used in the humanities, especially in writing on language and literature. MLA style uses brief parenthetical citations in the text that refer to an alphabetical list of works cited appearing at the end of the work. This guide gives example citations for the most common information formats used in MLA Style well as links to other sources and examples. 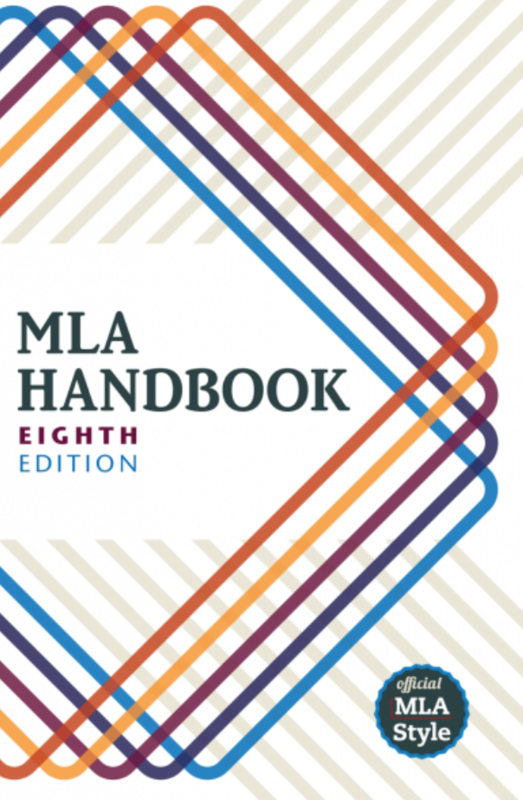 Examples are based on the 8th edition of the MLA Handbook. For examples of MLA citations, check out the MLA Example Citation Guide. For MLA formatting guidelines, check out the MLA Formatting Guide.